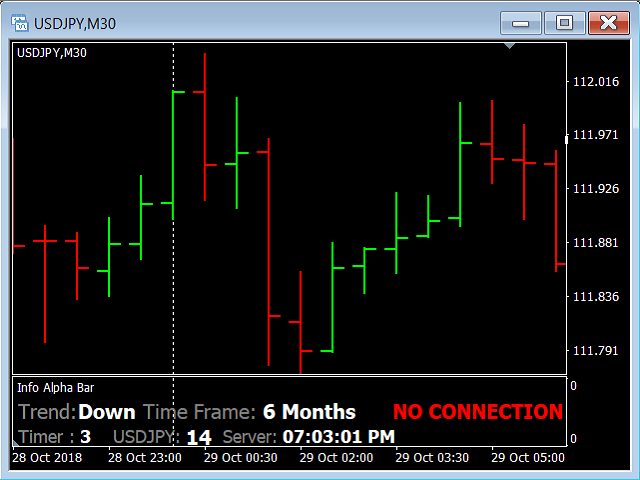 Always have a quick reference to timely information while trading. 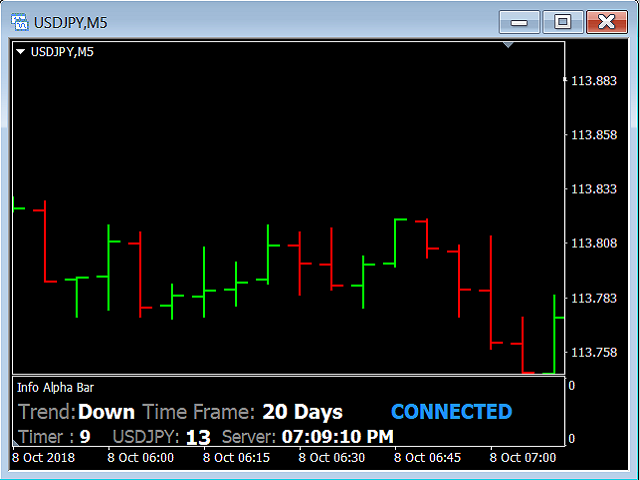 -Includes Currency Spread, Currency Trend w/ Time frame, Bar Timer, Server Time, Connection Status. 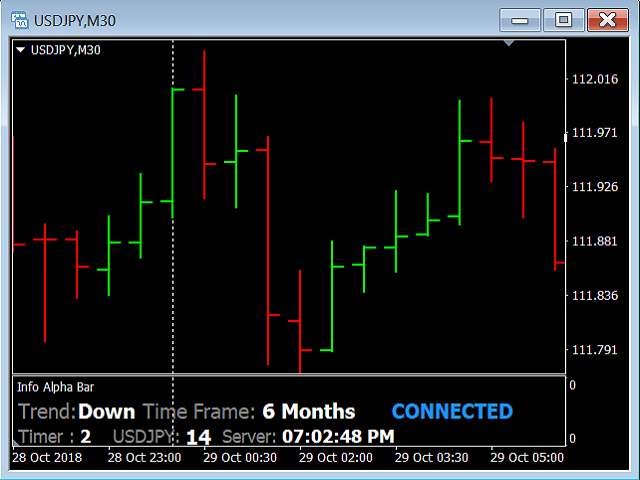 -Currency Spread; to know exactly how much you have to pay to get in. 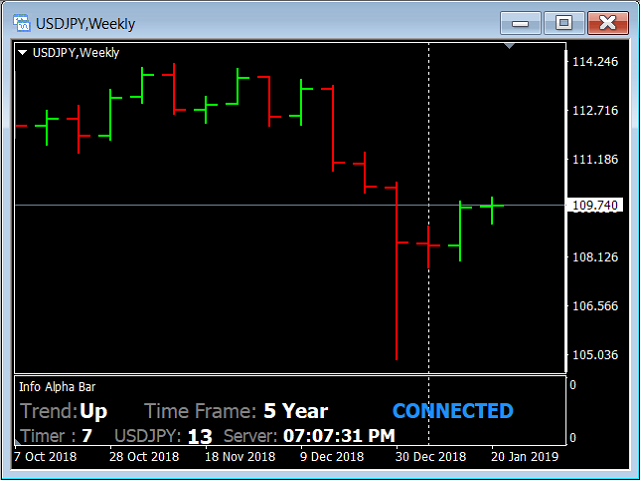 -Currency Trend with Time Frame; Understand the major direction of the currency pair for the last 3 months or other Time Frame. -Bar Timer; To keep track how long the current bar has been going. -Server Time; to know what time it is where you're connected. 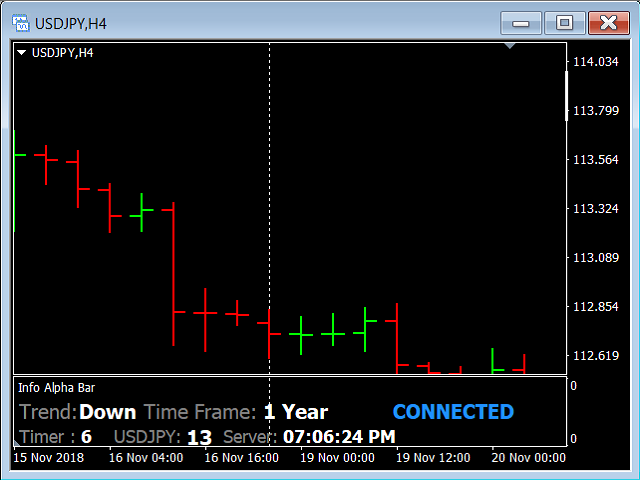 -Fixed issue with 1hour chart major trend analysis.